Luckily, one of my major gripes about Torchlight — that you couldn’t remap the controls — has actually been addressed. I’ve put the skills I care about into QWER and I’ve even managed to make the right-click button make the hero only move. Unfortunately left-click is still an ambiguous move/attack rather than solely an attack button, but almost there! Thankfully that ambiguous attack/move is actually much less ambiguous this time anyway. Even if the solution has been to give every enemy a much more generous hitbox, it has definitely improved if not achieved Nox-like perfection. Interestingly, weapons seem to have an arc of damage too — so attacking the single enemy directly under your cursor may well take out three or four of their neighbours too. That means that my proposed control scheme (or rather, Nox‘s control scheme), where left-click is only attack and right-click is only move, would surely fit perfectly and not even be difficult to implement here! 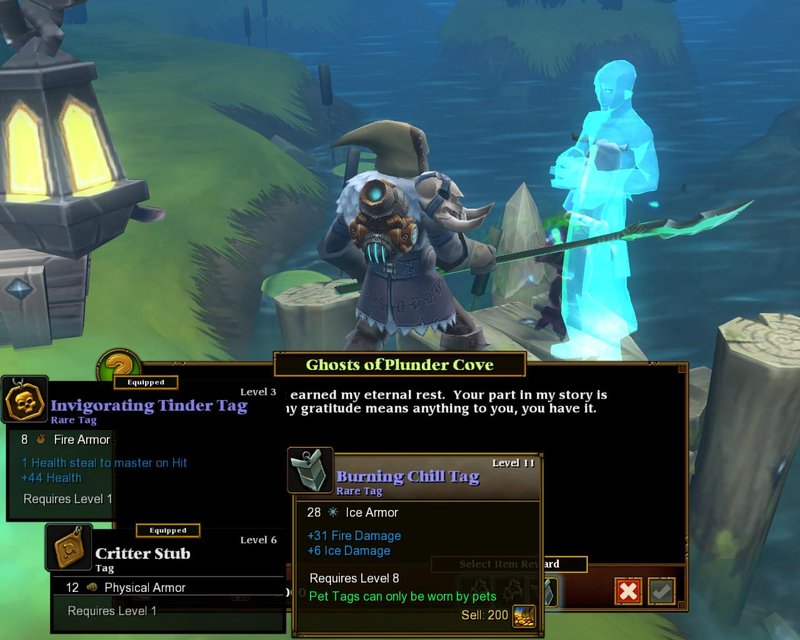 So close, Torchlight, so close! There is also a good bit more narrative this time, though it’s still fairly cursory. Otherwise, it’s a tune-up and a massive content boost. 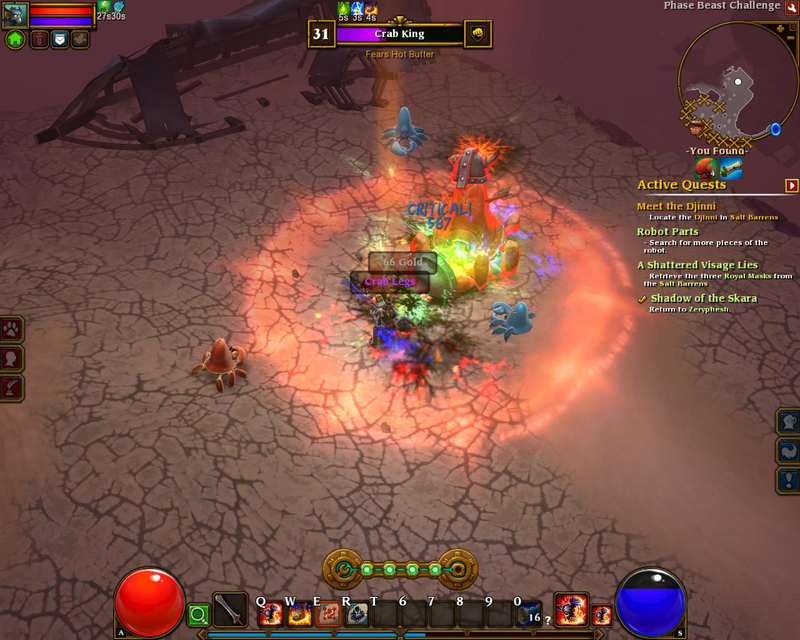 I said that in Torchlight each biome seemed to overstay its welcome, and so far Torchlight II has introduced much more variety, or at least faster cuts between varied areas. No more is it five levels of mine then five levels of cave then five levels of something else, but pleasant chunks of outdoor overworld that lead into more but shorter dungeons. The overworld is populated with sporadic side quests and optional dungeons to keep the larger expanses in check. I’ve been down a couple of tombs and caves of different styles, but there have also been “Phase Beast Challenge” maps that add some very superficial puzzling to the mix too. So, yes, fundamentally the same gameplay structure and level sequence. But it’s the disguise these mechanics wear that make a game more than just a spreadsheet, so having more aethetic chopping and changing keeps you from obsessing over the numbers rather than the world. My character is in there… somewhere. The enemies are also much more varied. Hover your mouse over anything and it’ll have at least one note about the species or variant’s particular behaviour, from natural animal things like the Armadax’s heavy plates blocking attacks to the spells and tactics of civilised creatures. Champion versions of creatures also appear sporadically amongst the common rabble. These are classic Warcraft III-style minibosses — take a normal creature, scale it up by 5 or so, and slap on a heap of extra abilities at random. A giant crab is as likely to teleport around like a maniac as an evil ghost, but, oh well, it adds extra spice. Except that, because enemies swarm in such vast numbers, the abilities of individuals are completely subsumed in the mass of pyrotechnics. If that enemy teleports, so what? There’s another three in the path of your sword anyway. All things will be chewed through, eventually, and it seems the game is actively doing itself a disservice by hiding its interesting behaviours in the riot. I know we’re in this to click lots of things to death, but maybe if we concentrated a bit more on clicking fewer things to death it might ultimately be more satisfying? To be fair, though, the named Champions are usually the last things standing in any crowd. Loot is, of course, still not great. While having a vast pile of different locations and varied enemies to fight is great, I think I want the opposite for my character and their equipment. It’s classic information overload — having to weigh up whether +43 Ice Armour is more useful than +1.4 Mana Regen or +6 Strength is better than +2.5% Chance To Stun every five minutes is more than a little tiresome. Yes, I can ignore all the loot, but then the enemies suddenly start one-hitting me out of nowhere and the treadmill must be upheld. Beyond that, every item also has so many properties. There are simple junk items that might have no enchantments at all, but most loot — the loot that is remotely relevant to your existence — is slathered with extra effects. With so little predictability in what up-coming enemies will actually be vulnerable to, these systems don’t even bring any extra strategy to the mix; they are just more numbers to worry about or gloss over. Never mind your gratitude, I need to decide which of these items you’re giving me anyway is the best. I also still heartily dislike the compacting of damage and attack speed into “DPS” (damage per second). To me this undermines the illusion that this is a world with physical properties, and it brings everything back to spreadsheet management. Sure, you need some numbers so that you can assess whether some item is better or not than another. I can see why they meld these two properties into DPS; it means you can effectively compare two unlike things on a level playing field. A fast-attacking sword with low damage becomes comparable with a snail’s-pace great-axe that one-hits everything. Obligatory tentacles-and-pustules enemies are present and correct. Except that equalisation kind of spoils the fun, because the two weapons become conceptually indistinguishable too; I can tell completely scientifically that “this one is better” and everything more subconscious drifts away. Am I arguing for more ambiguity? Maybe — remember, I’m arguing that the key lies in disguising the raw mechanics as much as we can, and too many harsh mathematics spoil the fiction. Could we just remove the attack speed factor and let our intuition lead the way? A two-handed warhammer looks larger, heavier and more unwieldy than a short-sword, so of course it will be slower to use. Alas, no. As soon as I see that number, the illusion is sundered. It’s not exactly immersion that is broken, more like willing suspension of disbelief. You might say that joke creatures and captions spoil the willing suspension of disbelief, but I say it’s a world of magic and so a crab with a shield and helmet is completely okay. To be honest, though, it’s given me exactly what I wanted. It’s visually attractive and despite all the numbers mostly brainless, something a little bit new to while away the hours with. The environments and the creatures are pretty and there’s always something new to discover and kill horribly. You are, however, absolutely right. I should probably replay Nox again. 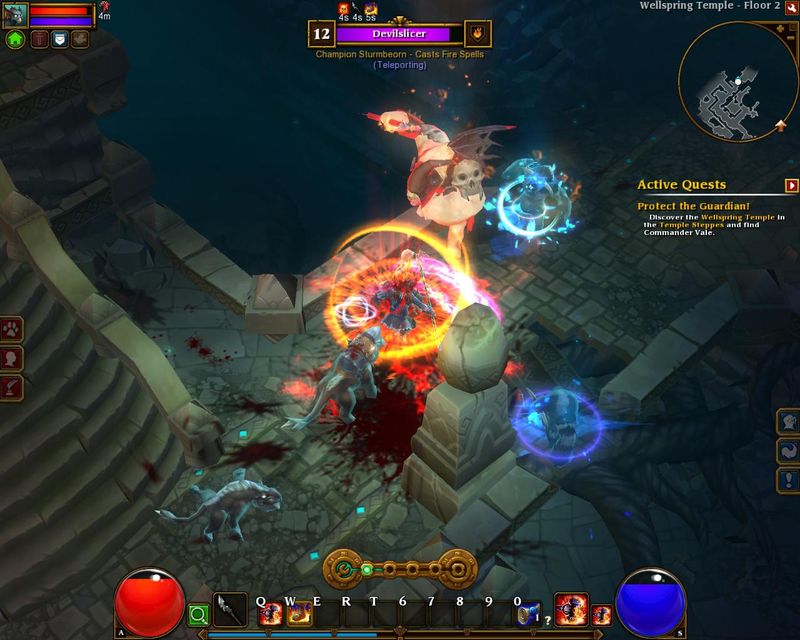 This entry was posted in Gaming and tagged action RPG, hack 'n' slash, Runic Games, Torchlight, Torchlight II by Rao Dao Zao. Bookmark the permalink. What a pity bosses are so boring in TL2… nno strategy is needed… thtas my only critic! Hmmm, that’s true, it does allow mods. Maybe there’s one to make the loot less ridiculous? An easy possibility to minimize the mass loot is to hide the lower items via settings -> item display -> and here erase the “normal” and “magic” items – only the higher items are left. Seriously, though, ‘turning off indicators’ is not an actual solution, it only tackles the symptoms. This kind of option also has a habit of destabilising the game, as it was effectively designed to be played with everything fully visible and hoovered up (see also: Dishonored without objective markers, and the several times its characters don’t tell you where to go and just assume the marker will direct you). 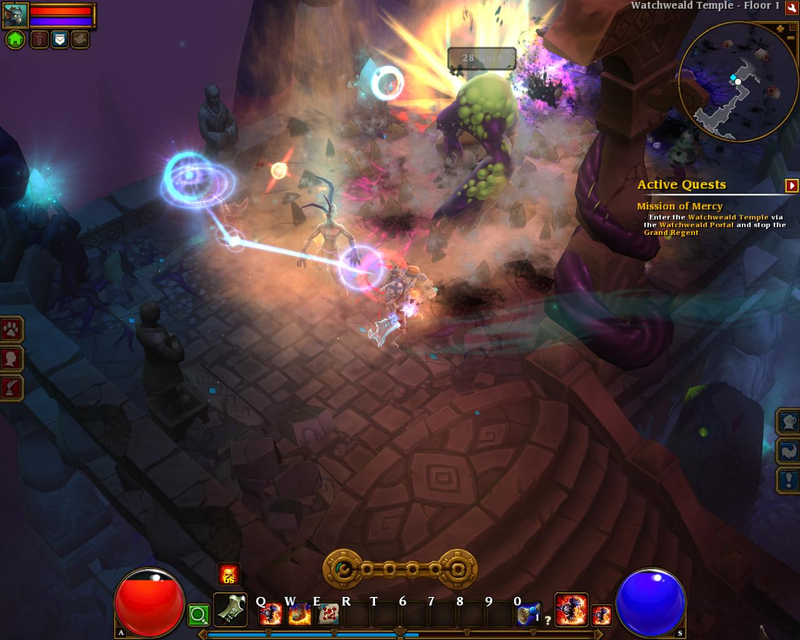 I enjoyed Torchlight II enough to throw a good amount of hours into it, but I always felt it could have been so more. By the way: Almost as if you had summoned it, Nox is being given out for free on Origin right now. Haha! The whole world should get Nox, maybe this will trigger a new wave of ARPGs that do satisfy me! 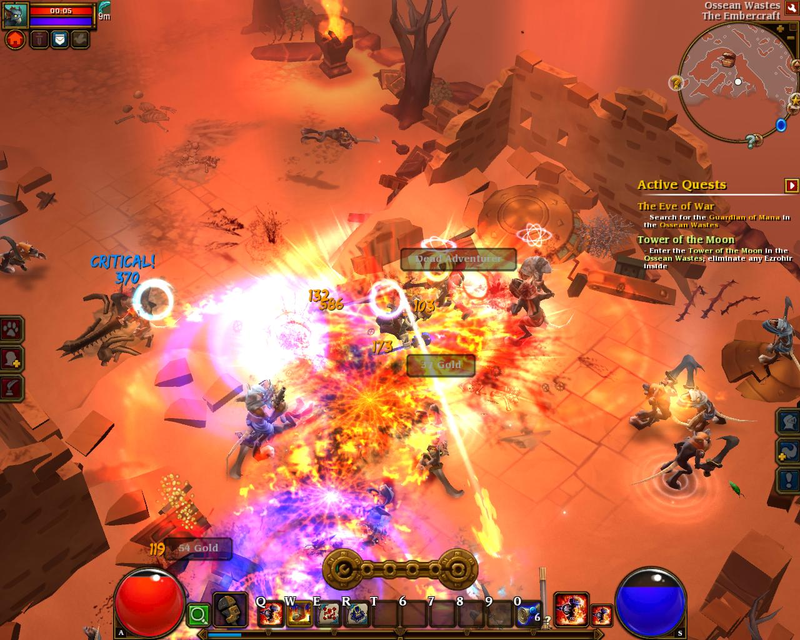 My problem with the torchlight games (and the mmo that preceded them) was exactly too much stuff. The mmo did it worse. Like you said, enemy character becomes meaningless. I prefer Diablo 3, mostly because of how you attack. Especially the melee attacks in torchlight 2 feel like they lack impact. Could be because of the sound design. Not sure since it’s been a while since I played the game. I don’t know if I’ve ever actually played a Metrodvania, at least not knowingly. It certainly seems to be that what I want/expect of an ARPG isn’t quite in alignment with what everybody else wants/expects. What people want from ARPGs is actually very diverse. But that’s the case with most games. People play a game and might find something they like, which is very different from what other people like from that game. It’s why remakes and successors always recieve a mixed response and why people who think what they like is what everybody liked come off as highly obnoxious. One of the problems is that figuring out what you (don’t) like in a game can be very difficult in itself. I really like turn based strategy, but I don’t like most turn based strategy games. It took me quite long to find out that that was because I was used to Age of Wonders and most other games are slow, boring or unpolished by comparison. If I hadn’t gone back to AoW, I might never have found out. Replaying what you considered to be good games in the past really helps figuring things out. It’s something you do a lot and it shows when you try to analyse games. 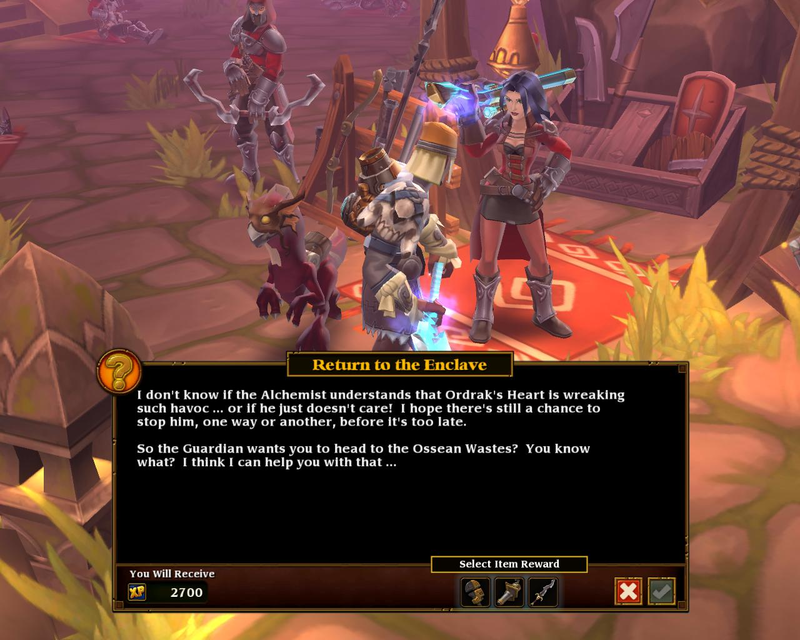 I’ve heard in other reviews that most people actually applaud the massive amounts of loot in Torchlight, though, and the same for other modern ARPGs. I guess I’m learning that Nox is actually a massive outlier in the genre, and that its tighter structure is a rare departure from the traditional norm of over-massive piles of loot and enemies and stats. About metroidvenias: at base they’re platformers with exploration and enemy interaction as their prime focus. You need to be able to dodge hazards or enemy attacks by jumping/adjusting distance or timing a dodge button. This allows enemies to quickly feel unique because they’re not defined by hp/dmg as much as by movement, size and attack distance/arc. Some metroidvenias are very difficult and you need to be able to stand platforming puzzles and useally some backtracking. The good ones are fair and interesting: every enemy attack can be dodged and bosses aren’t just bullet sponges. In a way, they’re like Zelda but as a platformer. The loot thing is something I useally hear about from reviewers and is something I always disagreed with. It’s something they realized in Diablo 3 too: they started to decrease the amount of loot you get and make sure more of it is actually useable for your character. They called it a “smart loot system”. It’s not perfect, but it does show that people started to learn that the secret to good loot is not in it’s quantity. Wait, wasn’t Diablo 3’s loot system limited for the sake of its now defunct auction house though (where people were buying items with real money)? Nah, people just liked to blame the Auction House for whatever they could. The major problem with the loot in the beginning came from the content gap in between reaching max level and starting the “end game”. That wasn’t some carefully calculated plot, but simply a hard to balance progression because everyone progresses at a different speed. As someone who never used the AH, I’d say that the loot system before the major improvements was rather avarage. After the improvements it became better than avarage, though it still has some underlying issues because it’s still based on the same rarity level type drop that’s so commen in arpgs and mmorpgs.